This is a richly detailed hardwood Book Urn in solid Walnut. 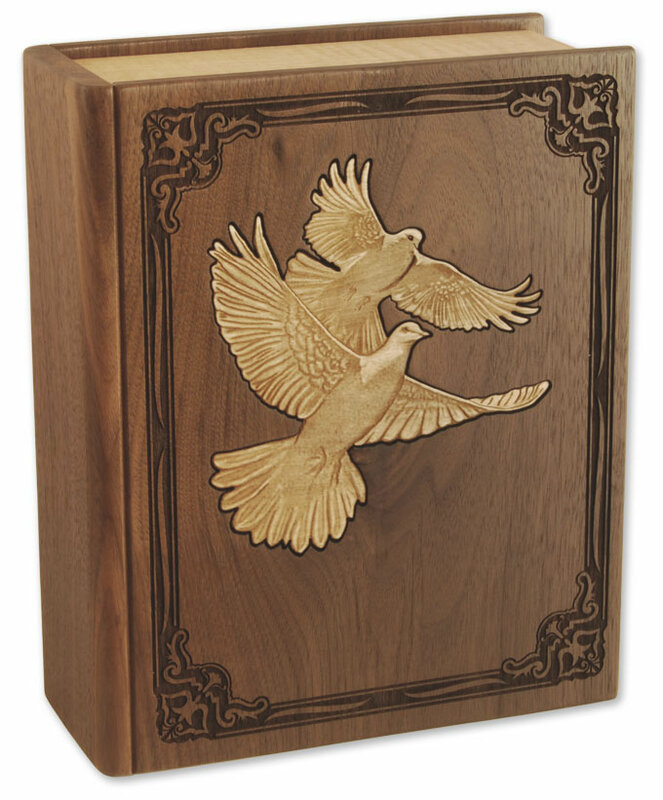 The urn is handcrafted using only hardwoods for the inlaid doves. This beautiful urn will be loved and cherished by your family for generations. Bottom opening plate attaches with screws. As with any urn but especially bottom opening urns, it is important to keep the cremains in a sealed plastic bag inside the urn. This urn can be engraved on the front, back, or spine. 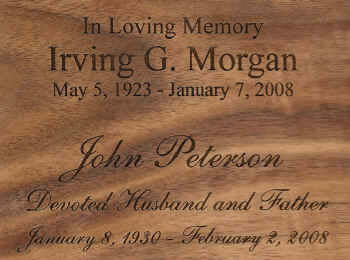 Engraving is limited on the front because of the doves but we can still engrave name and dates. 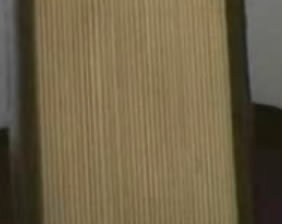 Please limit engraving to no more than 35 spaces per line on the spine or back of urn. Check engraving information to be sure spelling, punctuation, capitalization, and dates are correct. Engraving will be done exactly as submitted. Usually ships in 3-5 business days, even for expedited orders. Ships from the West Coast.